Former PM calls to vote for ‘personal friend’ Rabbi Lau. Sources close to race say Olmert’s support unhelpful. Former Prime Minister Ehud Olmert has turned to several mayors who are on the board to select the next Chief Rabbis of Israel and has encouraged them to vote for Rabbi David Lau, Yisrael Hayom reports. 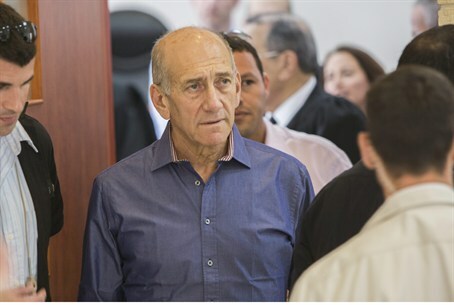 Olmert spoke with at least three mayors, among them Haifa Mayor Yona Yahav, who was one of the public figures to join the Olmert-led Kadima party in 2006. Sources close to the Chief Rabbi race said Olmert’s support may not be helpful. “As they say, ‘by any means… ,’ but this is a man who faces trial for criminal activity. It’s not clear that the Chief Rabbi needs support from a man like this,” they said. Olmert and Yahav did not respond to the report.